We bring forth our vast industrial experience and expertise in this business, involved in manufacturing and exporting of AC, DC, ACDC High Current Sources. 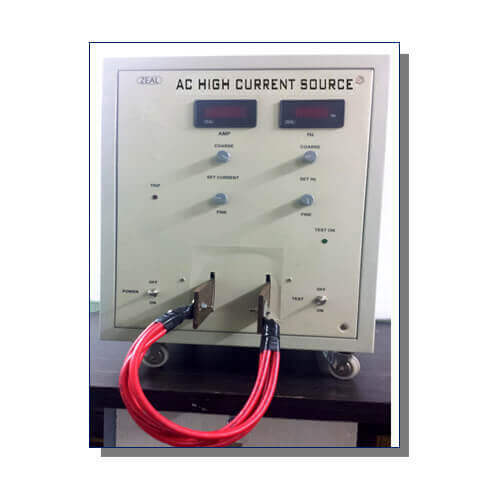 Testing current instrument transformers requires a high current power supply ready to regulate currents in a wide from A to kA. 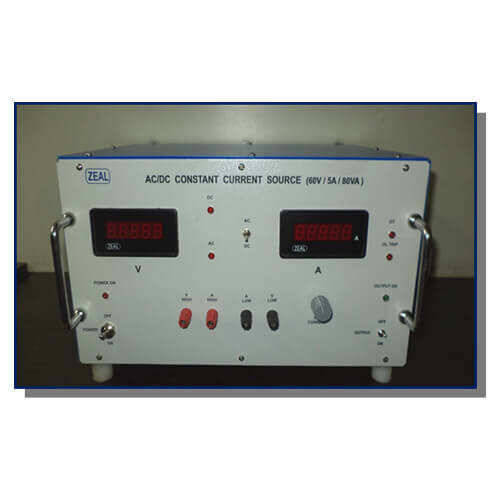 The high current source is specially designed to meet the stringent requirement. Based on the state-of-the-art frequency converter technology it offers flexibility and ease of use. 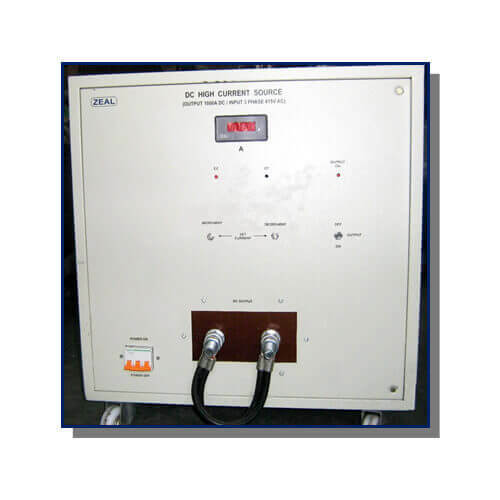 It is specially designed for current instrument transformer (CT) testing. A current source is the dual of a voltage source. Note: Current sources of other ratings can be made. Selectors switch to select ac or dc source mode. Electronic overload protection, rated output 80 VA (short time 120 VA for approx ½ minute) Protection against over temperature. Operating Temp 20dgr C to 40dgr C.